Siddaramaiah's comments come a day after Yogi Adityanath lashed out at the state government, alleging that the way Hindu and BJP workers are being "brutally" killed signified "a state of anarchy." Bengaluru: Karnataka Chief Minister Siddaramaiah today slammed his Uttar Pradesh counterpart Yogi Adityanath for flaying his government on the law and order front, saying, on the contrary, there was lawlessness in UP. "There is no other place in the country where law and order had deteriorated to the extent it has happened in UP and Bihar," Mr Siddaramaiah said. "There is no law there in UP. What will they come and teach us here?" he told reporters at Belagavi. Mr Siddaramaiah's comments come a day after Mr Adityanath lashed out at the state government, alleging that the way Hindu and BJP workers are being "brutally" killed signified "a state of anarchy." The chief minister also criticised Mr Adityanath for accusing the Congress of "insulting" India's rich tradition by showing respect to the 18th century Mysore ruler Tipu Sultan, whose birth anniversary celebrations by the government had triggered a controversy. "What is my name- Siddarama, there is Rama in my name. 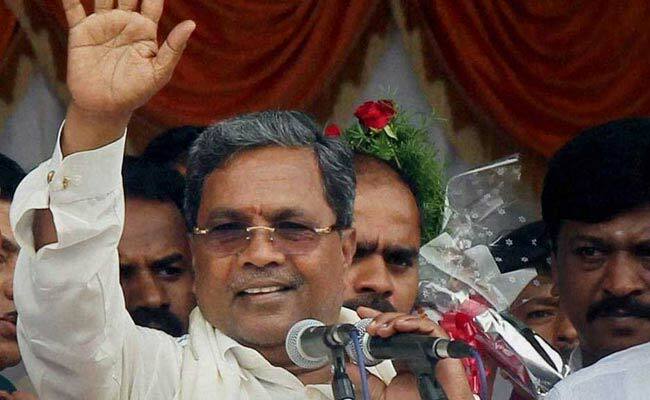 We celebrate Rama Jayanti, Hanuma Jayanti, also Tippu Jayanti," Mr Siddaramaiah said. Listing 'jayantis' of various social reformers, religious and historical leaders like Basava, Kittur Rani Chennamma, Valmiki and Kanakadas observed by the state government, he said "We celebrate Jayantis of every one." Speaking at the "Parivarthana Yatra" rally, organised by the state BJP in Hubballi yesterday, Mr Adityanath had called Karnataka "the land of Hanuman" and home of valour and courage which was ruled by the erstwhile Vijayanagara empire. It was unfortunate that the Congress "instead of worshiping Hanuman and Vijayanagara was worshiping Tipu Sultan," he had said.